The last few months I have been noticing a trend in the products I purchase. It seems some things are getting smaller, but still costing the same. Take for instance the Cascade bottle of dishwashing detergent I bought at Sam’s Club. Normally a blob of thick white stuff comes out when it is time to run the dishwasher, but now it is more liquid than detergent, and runs like a river. My sons love graham crackers as a snack. A few weeks ago I accidentally opened up the new box of crackers. To save space I decided to combine the two boxes. When I looked at the old crackers, and compared them to the new ones, you could see a definite difference. The new ones were still the same thickness, but the cracker itself was less wide. I don’t recall a price reduction in the food isle at Target. 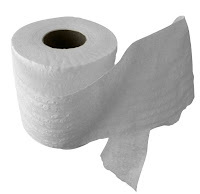 Last time we bought a bag of toilet paper, I combined the new ones with the remaining old rolls in our storage closet. It didn’t take but a few seconds to notice the new rolls, while still having the same number of sheets, was about a quarter inch smaller in width. So it appears that corporations have a need in this economy to lessen the amount of product consumers receive, but still charge the same price. I can completely understand where they are coming from…we all have to cut costs to make it through a downturn, but it would at least be nice if they were honest about it and told us up front. What do you think? Have you noticed this trend in the products you buy?